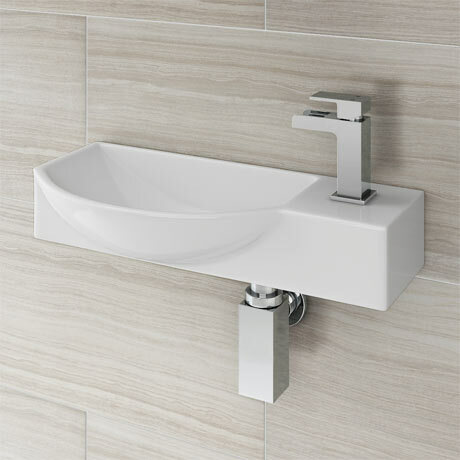 The space-saving Valencia mini white wall hung basin, a high quality offset ceramic basin with a single tap hole positioned on the right hand side. Provides you with a handy space-saving solution for your cloakroom or en-suite. Basin with overflow - for use with slotted basin wastes. "We ordered and received our item within the time scale mentioned, can't fault them, they delivered the Wow Factor !!! Highly Recommend to Friends ans Family...Perfect Service all the way!!!!"